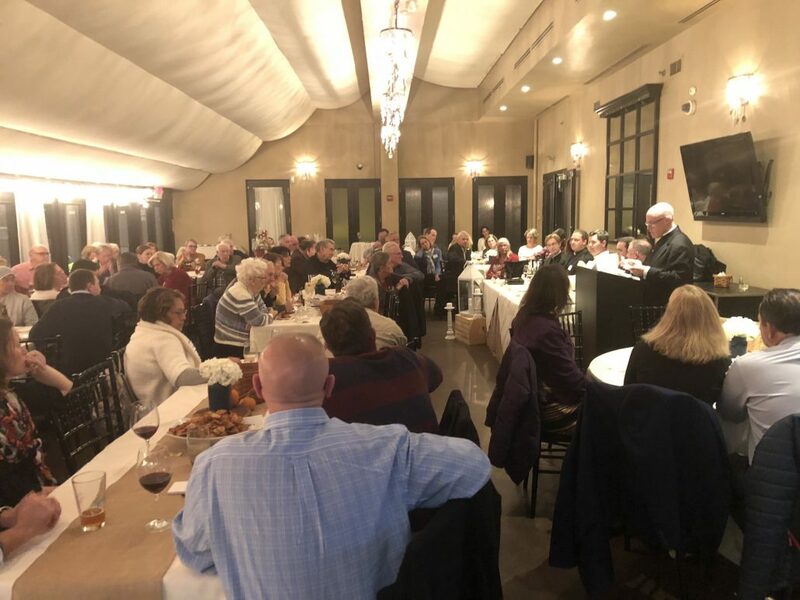 On Wednesday, October 24th, the OLM School and Parish community gathered at 1149 Restaurant in East Greenwich for its annual Grill the Priests event. 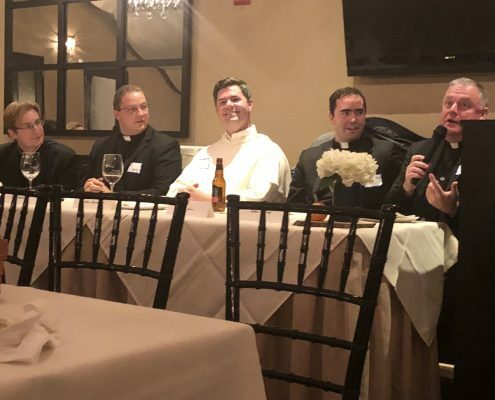 Organized by members of the school’s Parent Teacher Group, OLM Pastor Father Bernard Healey and Associate Pastor Father Joshua Barrow, the evening was a success due in part to the spirited panel as well as the engaging attendees from the school and parish. Over 100 attendees enjoyed an intimate candle light setting with a private bar and delicious passed hor d’oeuvres throughout the evening. 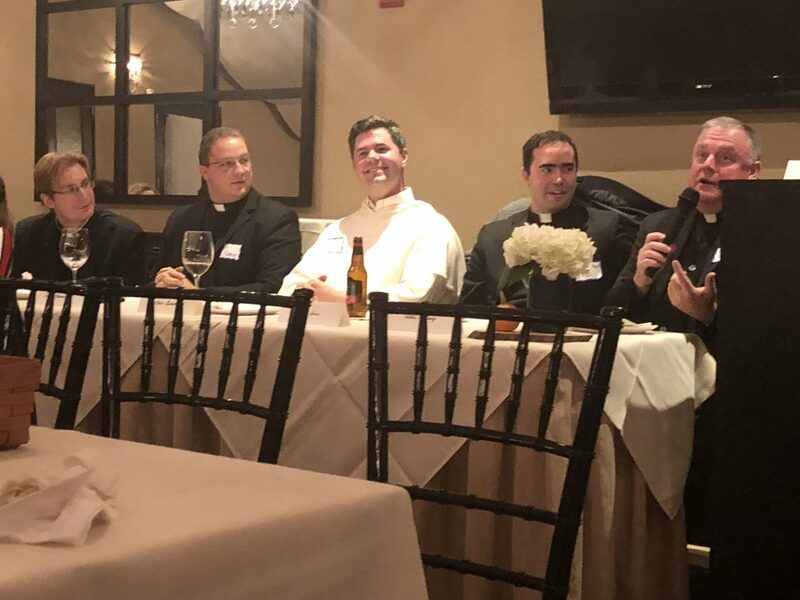 The brave priests on the panel included Father Nicholas Fleming, Associate Pastor Saints John and Paul Parish, Father Patrick Briscoe, O.P. 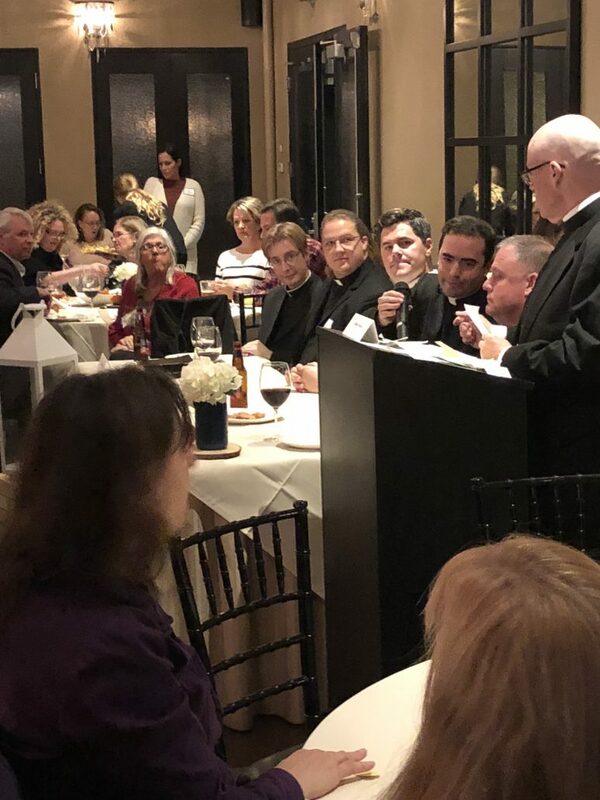 Associate Pastor St. Pius V. Parish, Father Nathan Ricci, Assistant Chancellor Diocese of Providence, Father David Gaffney, Rector of the Seminary of Our Lady of Providence, and Father Barrow, Associate Pastor Our Lady of Mercy Parish. 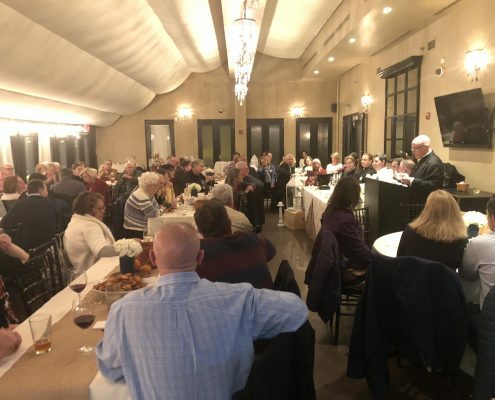 Father Bernard Healey, Pastor Our Lady of Mercy, moderated the pious group on questions that were either directed specifically to them, or based on their area of expertise. 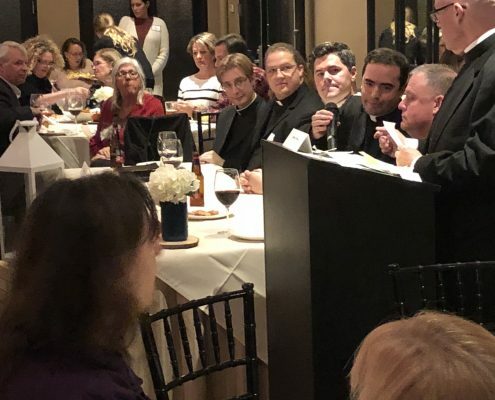 The evening was filled with tremendous faith, light-hearted joking amongst the brother priests and laughter and frequent applause from the attendees. By all accounts, it was another tremendously successful event that celebrated the OLM community. Our Lady of Mercy Parish is located in the heart of East Greenwich, RI. OLM offers a Roman Catholic Community committed to sharing the gospel of Jesus Christ.